Otakon has always been my favorite anime convention. 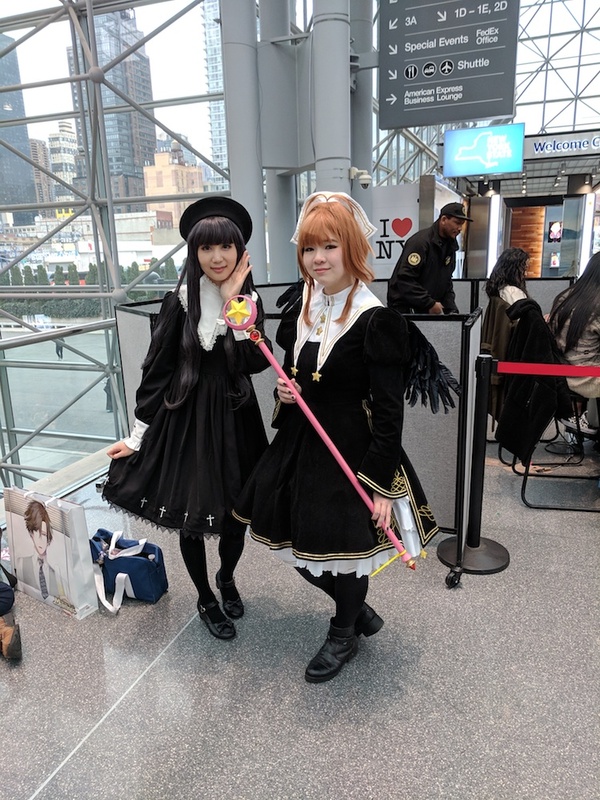 With its fan-oriented approach and variety of content, it always feels surprisingly intimate despite its sheer size (it’s generally the largest anime con on the east coast). This year marked a big change, as Otakon moved from its long-time home of Baltimore to Washington DC. 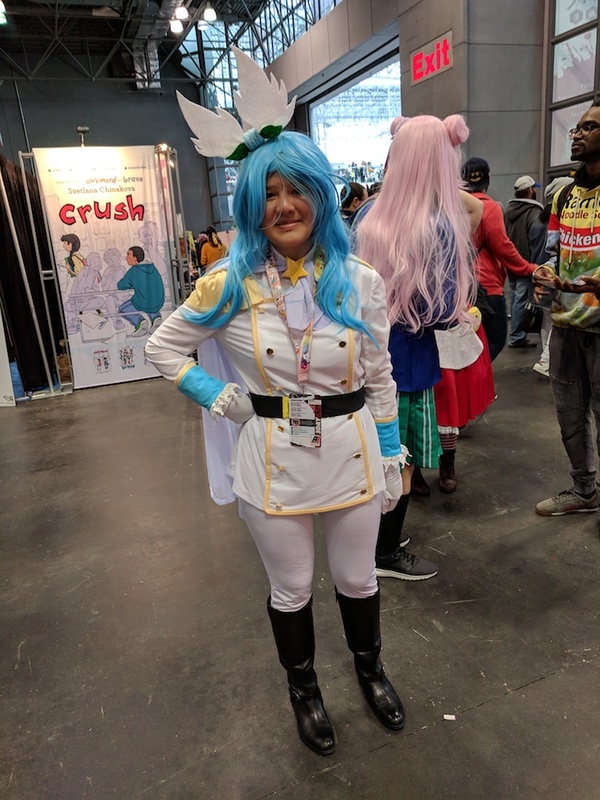 It might not seem like that much of a difference—it’s only one extra stop on Amtrak—but for those of us who had grown fond of the previous venue, warts and all, Otakon was synonymous with Baltimore. However, I will likely not be the only one to tell you that the new location is one of the best things to happen to Otakon. Subjectively, I still have an attachment to Baltimore. Objectively, outside of increased cost, pretty much everything is superior. The Walter E. Washington Convention Center is roughly double the size of the old Baltimore Convention Center, meaning less congestion. The adjacent hotel, the Marriott Marquis Washington DC, is bigger and more accommodating. The food choices are greater both inside and outside the convention center, and still fairly reasonably priced. For those who are especially cost-conscious, a Giant Foods supermarket within walking distance is an improvement over Baltimore’s 7-Elevens. 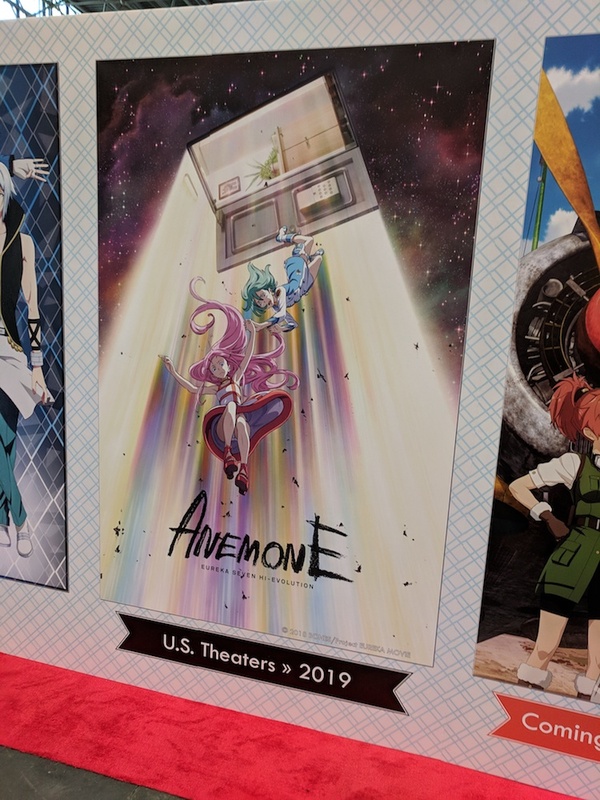 Thus, without even taking into account what happened at the con itself, this new setting certainly provided a more comfortable space for Otakon to put on a show. It was off to a good start right from the beginning. One of the best things about having such a large space for Otakon is that the Dealer’s Hall and the Artist’s Alley were easily navigable. Instead of having to wade through a sea of people in order to get anything done, actually going where I wanted to provided little challenge, aside from unfamiliarity with the new convention center. In terms of content, it’s pretty much what you can expect out of a large-sized con. 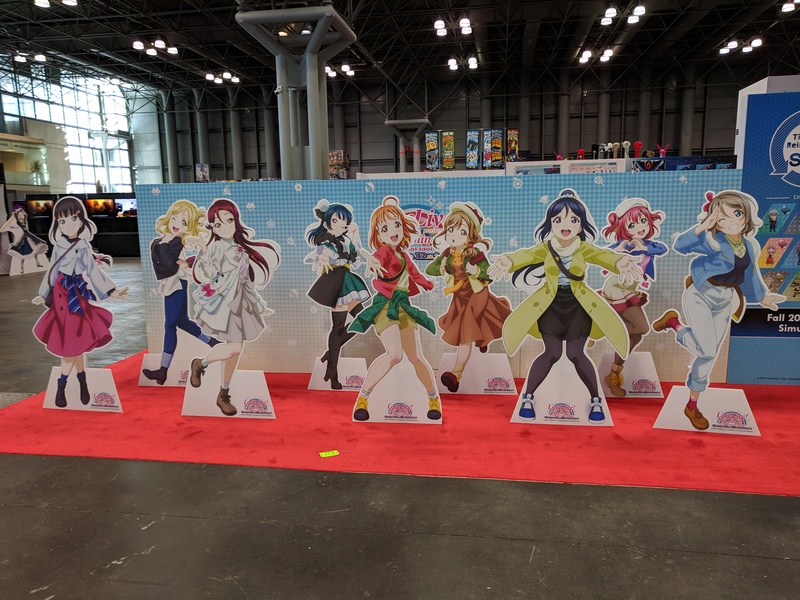 In the Dealer’s Hall, large, official company booths acted as centerpieces with smaller booths on the sides selling figures, posters, manga, anime, and more. The Artist’s Alley had a wide variety of styles, with series such as Voltron, Yuri!!! on Ice, and Persona 5 being especially popular. One of the hiccups in both areas was a lack of clear marking as to where you were. Booths had individual numbers, but sometimes they didn’t follow a consistent logic, and a lack of visible markings to tell you what row and column you were standing in made things worse. Fortunately, this was brought up at the Con Feedback panel at the end of Otakon, and it’s something they had intended but couldn’t get around to. There are a couple of other challenges they’ll have to tackle for next year as well. First, the line to the Dealer’s Hall would occasionally get capped. This in itself isn’t unusual, but at one point a friend of mind mentioned that he couldn’t get in while I was already there. But when I looked around, the Dealer’s Hall was the opposite of congested. There was literally room to run around if I so choose. 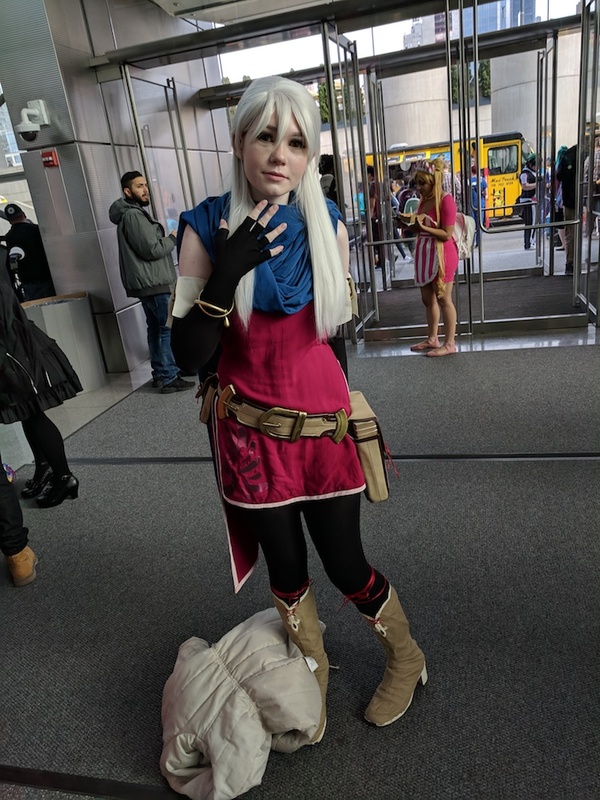 I later realized that it wasn’t the Dealer’s Hall itself that was the issue, it was the space leading to the Dealer’s Hall that was becoming a fire hazard. That’s something that should be addressed by 2018. The Artist’s Alley also ran into an unfortunate bit of flooding due to a water main break on Saturday evening. A major factor in this was an enormous storm that hit DC. From what I saw, Otakon handled the situation fairly well, and there were no major injuries. This might just be a fluke accident for the first year, so I’ll give them the benefit of the doubt. This year, Otakon teamed up with the Anisong World Matsuri to bring a number of musical acts to DC. Because tickets cost money (unlike most anime cons), I could only see the Friday concert featuring JAM Project and TM Revolution. As a long-time fan of the former and someone who definitely enjoys the music of the latter, I can say with the utmost confidence that they did not disappoint. Both acts are known for creating not only songs that are good in and of themselves, but for embracing the anime they create music for and elevating them through their compositions. I first saw JAM Project at their US debut back at Otakon 2008, and it was a welcome return. Both TM Revolution and JAM Project are really adept at making live performances special. Their voices ring out clearly, they get the audience involved, and by the time they’re done you end up feeling like you were part of something greater. Even a few technical hiccups during TM Revolution’s performance couldn’t dent the audience’s fervor. Before the concert, I had bet on JAM Project and TM Revolution doing an encore together. Most likely, it would be JAM Project’s signature song, “SKILL.” They came through, and the collaboration was everything I hoped for. For further thoughts on the concert, check out my post on Apartment 507. Due to a busy schedule this year and some mishaps on my part, I was unable to attend as many panels as I would have liked. However, this means I can talk about ones I did see in greater detail! The first was “Romance and Abuse in Shoujo Manga,” which looked at many of the bad boys of shoujo and how their behavior can reflect an often implicit hand-waving of abusive relationships. It looked at both works that ignore its characters’ abusive behavior towards their partners, as well as those that call the characters out on it. The presenter also took time to point out the difference between enjoying something as fiction vs. understanding how it would play out in reality, so it’s not as if it was an automatic admonishment of the audience’s tastes. I thought it was a strong panel overall, but it could be taken to the next level. Perhaps it could even go into understanding why the trope of the abusive boyfriend as lovable partner is so popular and occurs in so many well-received anime and manga. I would also like to compliment the presenter on giving her stamp of approval to how the series Kiss Him, Not Me approaches the subject of abuse, because while the series is thoughtful in a lot of ways, its initially flippant handling of weight and beauty can really turn people away—even I was put off by it. The fact that the presenter used it as an example showed that she wasn’t trying to automatically write off certain series but was actively trying to figure out what messages these shoujo series send. 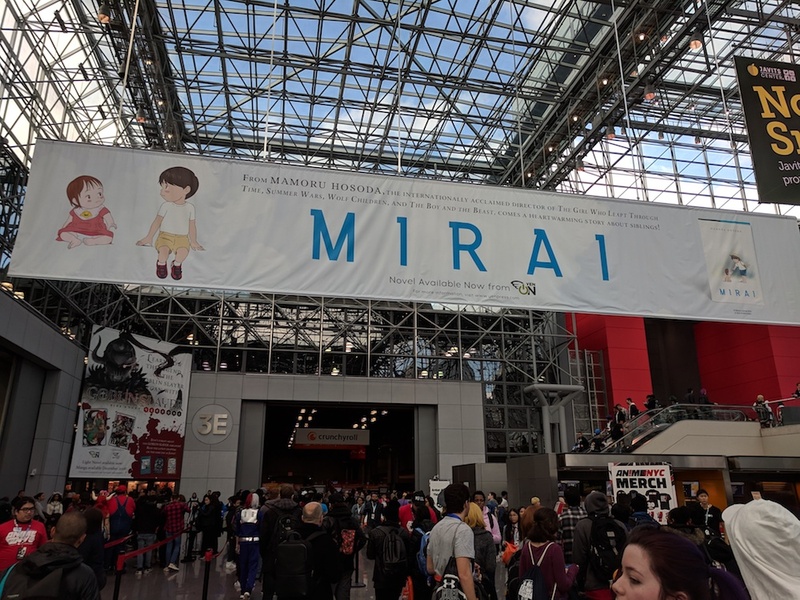 Another panel I attended was “Iyashikei: Animated Healing.” It focused on the so-called healing genre of anime and manga, explaining the emotionally therapeutic aspect of such works and why they garner such loyal fans. It was a very thorough panel that showed a wide variety of series that can be considered iyashikei, including both classics and genre-bending examples. 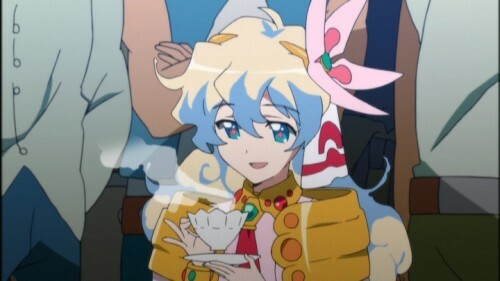 One thing the panel didn’t get into but I would have liked to see was the tendency towards an assumed male viewership for healing anime. Still, it was well-presented and informative, and I’d look forward to checking it out again. I had the opportunity to see two films, one of which was a world premiere. I’ve written more extensive reviews for both. I also interviewed a few of the illustrious guests at Otakon! 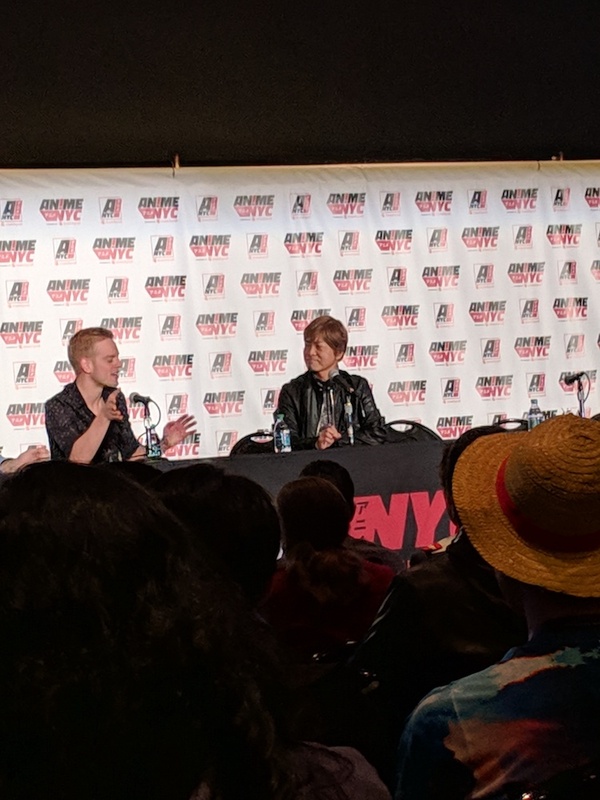 This year, it was the dynamic seiyuu duo of Furukawa Toshio and Kakinuma Shino, as well as an interview with the director of Eureka Seven, Kyouda Tomoki. The move to Washington DC is the best decision Otakon has made in years. There are very few drawbacks I can think of, outside of a sentimental attachment to Baltimore (and its delicious crab cake truck), but I know that my experience is not necessarily shared with everyone else. 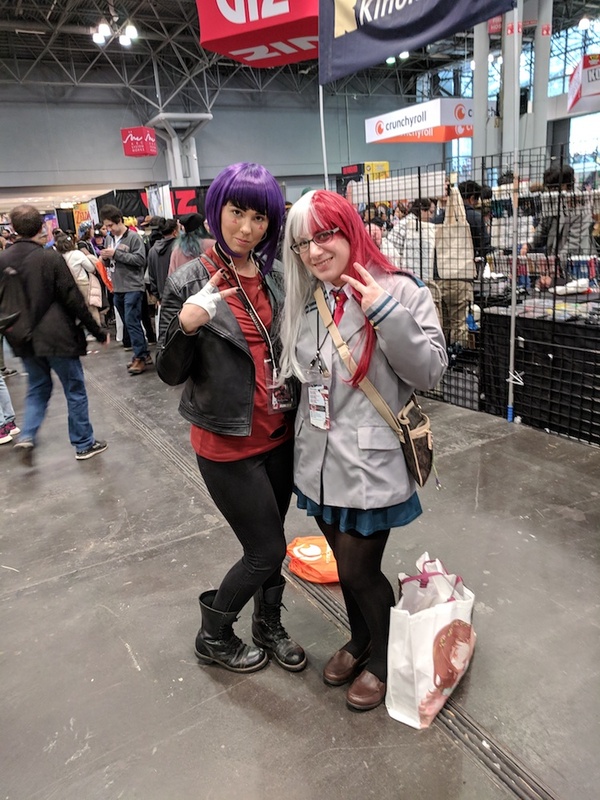 Second, you want to hear other random thoughts about the con, I also appeared on a post-Otakon podcast over at Ani-Gamers. We recorded it right after the con closed on Sunday! 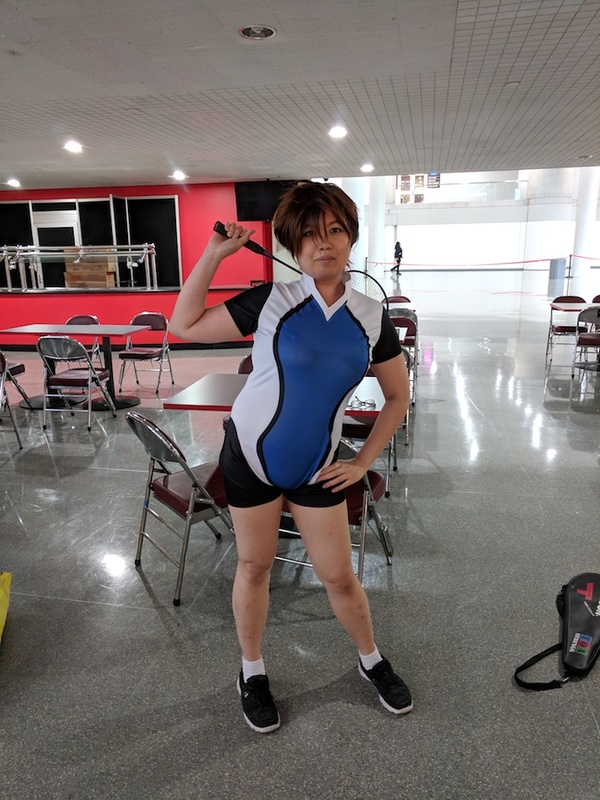 To end this report, here are some cosplay highlights, as is Ogiue Maniax tradition. Thanks to One Punch Man, I’ve been listening more to JAM Project as of late. I love how JAM Project takes anime music so seriously, and their desire to create actual “anime music” about the shows they sing for is admirable. However, the more I listen through their catalog, the more I miss one of their original founders, Mizuki Ichirou. For fans of anime music, Mizuki Ichirou possibly needs no introduction. 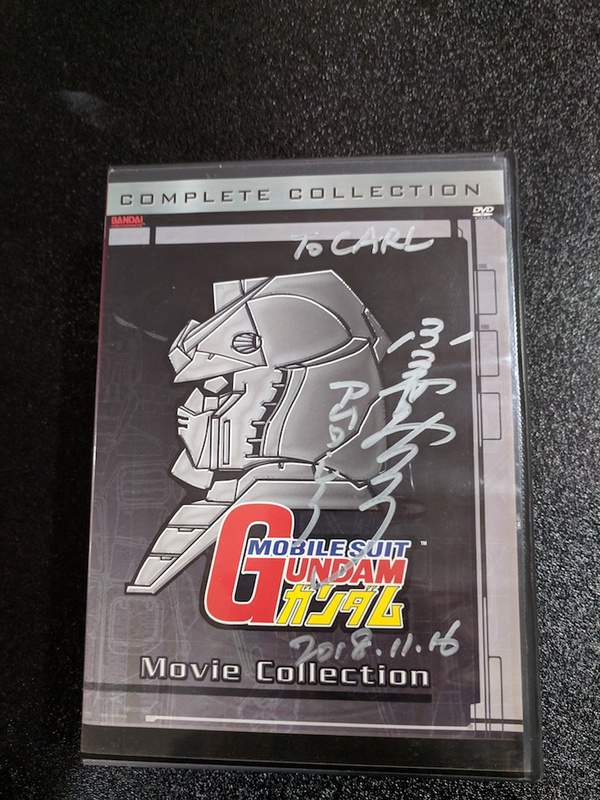 The voice behind almost countless theme songs, his work in titles such as Mazinger Z, Babel II, Golion (aka Voltron), and Kamen Rider X earned him the moniker “Emperor of Anime Songs.” In 2000, he became one of the founding members of JAM Project, taking a less active role a few years later. 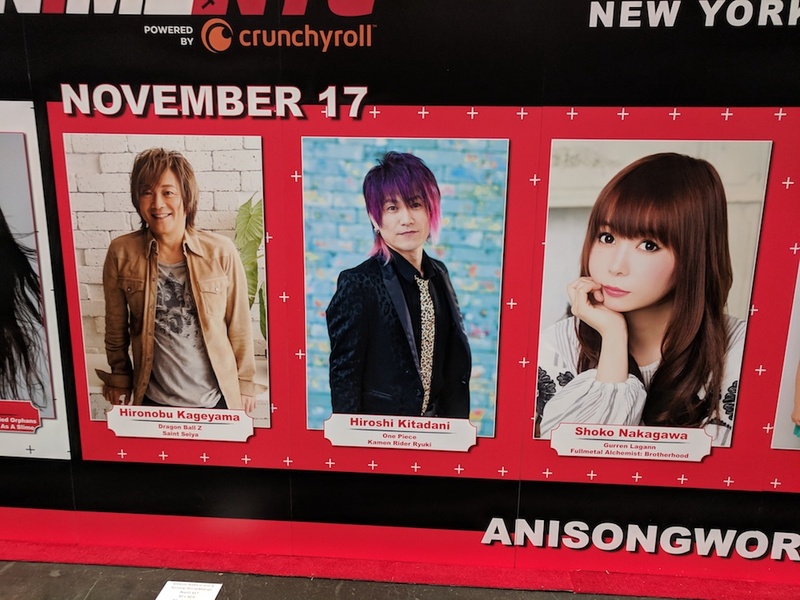 Other members have come and gone from JAM Project, namely Sakamoto Eizou, the lead vocalist of the heavy metal band Anthem, and Matsumoto Rica, a singer who’s also famous for being the voice of Satoshi (Ash) from Pokemon. They also lent their own unique voices to JAM Project in interesting ways, but something about Mizuki Ichirou’s singing is different. Unlike the younger members of JAM Project, Mizuki’s vocal style invokes a different era of music, culture, and of course anime. It’s deep, memorable, and reminiscent of a Frank Sinatra-style crooner, only he’s singing about Mazinger Z’s Rocket Punch. When you placed him alongside his fellow JAM Project members, it would add something unique, something classic, to their sound. Above are two versions of JAM Project’s “Hagane no Messiah,” one without Mizuki and one with. I think hearing them side by side really shows what the “Aniking” added to the band. [Apartment 507] One Punch! JAM Project’s Gateway to Western Success? I’ve written a blog about the potential influence of One Punch Man‘s popularity on the anime super band, JAM Project. You can find it on Apartment 507. Apartment 507 also sells point cards for Japanese services such as iTunes, Playstation, and Wii U, so if you’re someone who likes to play Japanese games digitally it might be worth your while to look at the rest of the site. Otakon 2010 fires its first major volley with “Home Made Kazoku” as their Sunday musical guest. Realistically speaking, this is pretty much the kind of musical guest I want at conventions more often. While I know that they’re not a J-ROCK BAND and thus won’t have quite as much clout among those who go to anime conventions mainly for the concerts, Home Made Kazoku’s a legitimate act that’s actually done music for popular anime. I mean, you couldn’t exactly call Naruto or Bleach small-fry cartoons (aside from literally being for children), and they also did “Shounen Heart,” the love-it-or-hate-it second opening of Eureka Seven. I still consider it a crime that JAM Project got only a fraction of the audience of other musical guests at Otakon 2008, especially when they had Kageyama “Chala Head Chala” Hironobu, a guy whose songs almost every person at an anime con knows at least one of. While I get the appeal of the J-Rock band, I wouldn’t mind them nearly as much if more of them had actually sung something related to anime, or if they weren’t being sold mainly on image. Hell, a COVER of an anime song would be acceptable. So, Home Made Kazoku. I can’t wait to see everyone at the concert try (and fail) to sing along to the rap portions. JAM Project is a music band that stands for many things, but primarily they stand for what JAM stands for: Japanese Animationsong Makers. The philosophy that has brought together such musical greats as Mizuki Ichirou, Kageyama Hironobu, and Matsumoto Rica is a beautiful one: anime songs should be made for anime. 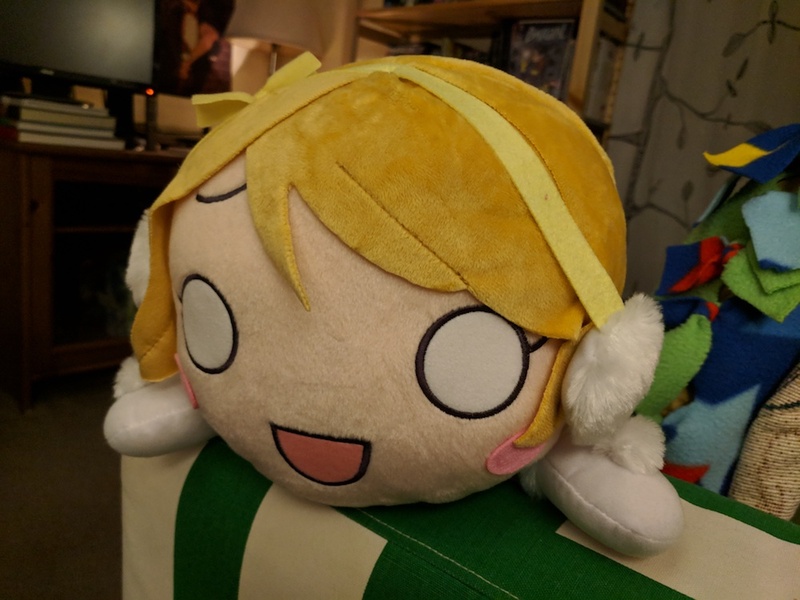 In other words, while fine in moderation, opening and ending themes should not simply be a popular artist’s song tacked onto the head or tail of an episode. Anime music should be anime music. JAM Project formed in 2000 and is currently approaching its 9th anniversary. Members have come and gone, so it’s only reasonable to think that as JAM Project continues along it’ll pick up new members. Keeping in mind the founding philosophy of JAM Project, I’d like to list possible future candidates for JAM Project, musicians who at least appear to understand what it means to make “anime music.” Keep in mind that the singer does not necessarily have to be known primarily for their anime music, or for them to have a large repertoire of anime themes. Former member Sakamoto Eizou is known more as the lead vocalist of hair metal band Anthem than anything else. They’re also chosen for how well I think their voices would mesh with the current members of JAM Project, and how well they sing live. While TM Revolution is more than successful enough on his own, I feel that I have to list him first. Listen to any of TM Revolution’s themes he’s used for an anime- it’s clear that the man knows what it means to sing for anime. 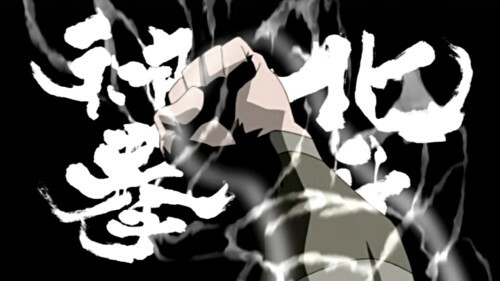 Whether it’s Soul Eater or Rurouni Kenshin, his songs capture the spirit of the show. Lyrics make sense given the titles, the music is always passionate. Compare the appropriateness of his Gundam SEED work to that of the 4th Destiny opening by Chemistry. It’s really like night and day. 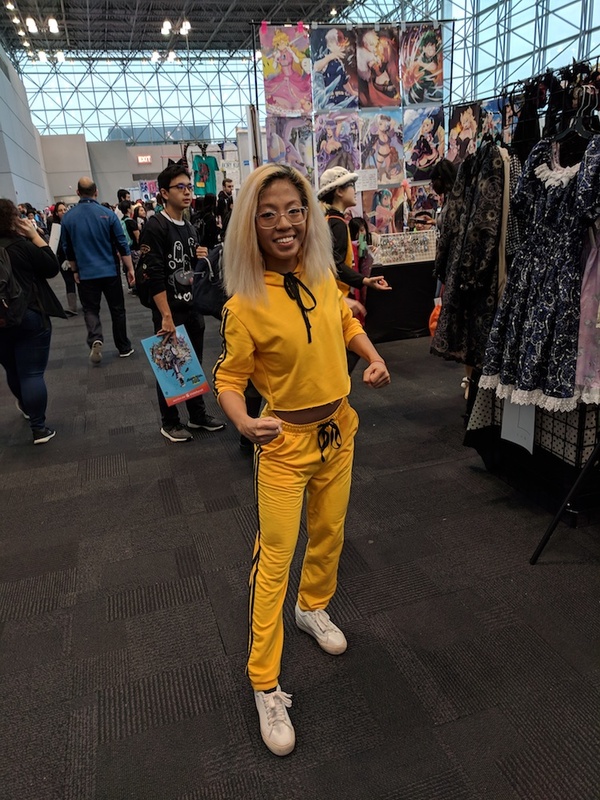 The voice of Fate Testarossa and Hyuuga Hinata also frequently lends her vocals to the musical side of anime, and the results pretty much always make an impact. Say what you will about the quality of the Nanoha anime series or its fanservice, but there’s no denying that Innocent Starter, Eternal Blaze, Secret Ambition, and Massive Wonders all capture a sincerity for the show itself. Besides, she already has experience working with Okui Masami. Like Mizuki Nana she’s both a voice actor and a singer. It’s not guaranteed, but I think that combination can lead a person to being able to better understand an anime and thus the music appropriate for it. She’s done a lot of work for some very different shows, and in every case, from Cardcaptor Sakura to RahXephon to Escaflowne to Lodoss, she manages to capture the tone of the show right in the opening. One might say that the problem with a lot of today’s anime musicians making music specifically for anime is that they pull in primarily an otaku crowd, while a guy like Kageyama has much more mass-appeal. I think Gojou Mayumi, famous for her work on Pretty Cure, has this quality of being able to pull in those kids who just grew up watching anime and learned to love its music that way. Of course, that’s not the only reason I chose her. She’s got a nice, recognizable singing voice, and her recent collaboration with the other Precure singers for the Precure crossover opening shows that she knows how to collaborate to create even more powerful anime themes. The other Precure singers are also good potential members, but I think Mayumi makes for the best one. Wada Kouji is the man behind every Digimon opening, and I think they bring him back every time for a very good reason. Like Mayumi, Wada Kouji is someone with more mainstream appeal at least as far as anime openings go, with the vocal strength to back it up. Each Digimon opening is very different from the previous one yet they’re all unified by Kouji’s voice. It can quickly go from soft to powerful, and leaves you with a sense that what he’s singing about matters. Also, if Matsumoto decides to return to JAM Project having the Pokemon AND Digimon singers on there would just be dandy. As a last word, I want to say that I’m no expert on musicians, not even anime ones, so my list is limited. For that, I more than welcome your suggestions below. It’s an interesting time in anime, and there’s plenty of stuff to be grateful for. Thanks, Anime, for providing affordable DVDS of series loved by all types of otaku, from Gurren-Lagann to Ouran High School Host Club to Aria and beyond. Thanks, Anime, for making strides to becoming more accessible. 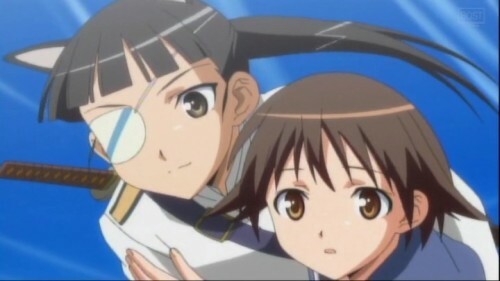 Strike Witches isn’t what I’d call a show I’d recommend to others, but I commend GONZO for putting itself out there. And while some of you may have made a few missteps, like Sony with your super-expensive PS3 episodes of Xam’d, I’ll still be there to buy the DVDs. Thanks, Anime, for having an incredible season this year with something for everyone, with fine work in practically every genre and sub-genre. With this, I have no regrets. 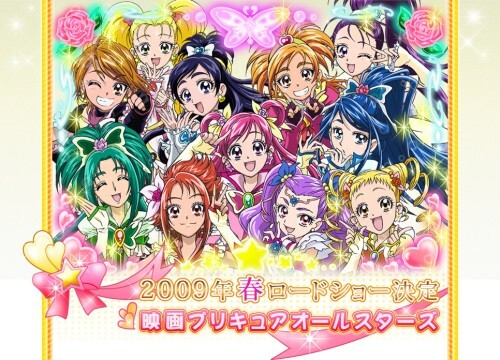 Thanks, Anime, for your plans to give us an Ultimate Crossover Pretty Cure Movie that we’ve been waiting for since Max Heart ended. 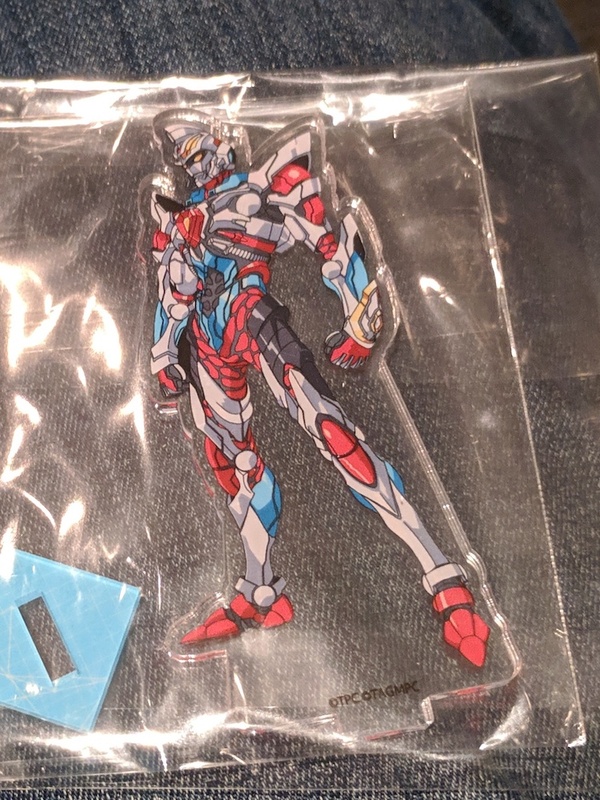 I look forward to the 11-girl Ultimate Crossover Pretty Cure Finisher. It’s also thanks to this image that I realize that the more athletic Precure girls have tanner skin. You learn something everyday. 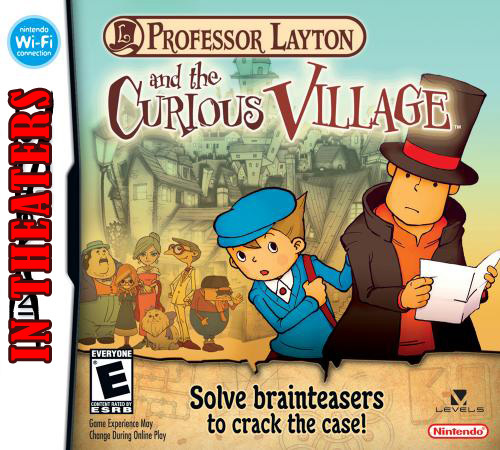 Thanks, Anime, for slating a Professor Layton Animated Movie scheduled for 2010. I’m not even kidding. And finally, Thank You for an incredible year of Ogiue, JAM Project, good friends, good opportunities, and so much more.